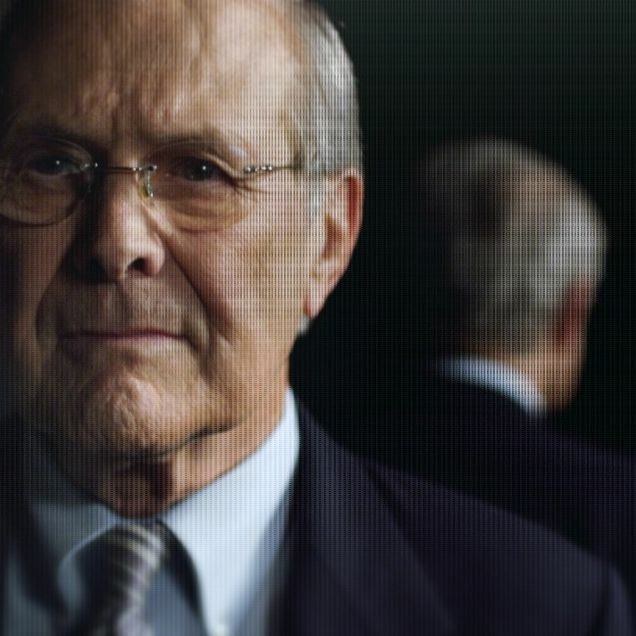 Advance word on Errol Morris’s Donald Rumsfeld doc The Unknown Known was that Morris failed to nail Rumsfeld, especially on Iraq. After seeing it, I ask, How do you nail Jell-O? The former secretary of Defense styles himself a meticulous thinker and has a blizzard of memos (known as “snowflakes”) to prove it, but in the midst of his dramatic readings of his sundry piddling missives, you might find yourself thinking, There’s no there there. Rumsfeld gives his tricky, shallow answers, flashes Morris a doofus grin (he’s a genial fellow) … and the rest is silence — or, rather, Danny Elfman’s busy, Philip Glass–like score, which does its best to fill the void. But Rumsfeld has said all he’s going to say. The movie begins with Iraq, goes back in time to trace Rumsfeld’s ascent (Nixon and Kissinger thought him nothing but an opportunist, rival GHW Bush was evidently put off by his hard-line militarism), and then returns to one of the most cataclysmic wars in the country’s history. Rumsfeld talks without irony of the “failure of imagination” that was Pearl Harbor (he is a man with zero irony) and how he came into his job as secretary of Defense determined to make sure there’d be no similar attack on American soil. We know how that worked out. Rumsfeld goes on as if he hadn’t suffered a similar lapse — as if he’d been brilliantly prescient. Morris is an aboveboard interviewer. When he challenges Rumsfeld, he does so openly and lets the man have his full say. It’s the lack of fullness of that say that makes your jaw drop. As is his wont, Rumsfeld niggles over dictionary definitions. When, in the second year of the Iraq occupation, the press quizzed him on the “insurgency,” his first impulse was to deny it, his second to hit the OED or the Pentagon’s own dictionary so he could dispute the fine points of the word. Some of Rumsfeld’s memos pose larger questions of war and peace, but they quickly wander off into musings on minutiae. It’s no wonder Morris has referred to the film as The Fog of Rumsfeld. It’s not that Morris catches his subject in many lies, although the one he does catch is a beaut: In the present, Rumsfeld asserts that no one in the Bush-Cheney administration ever linked Saddam Hussein to 9/11, then is shown in 2003 responding to word of Saddam’s denial with, “And Abraham Lincoln was short.” The eye opener is Rumsfeld’s account of his summons in early January of ’03 to the office of the vice-president, where Cheney let Saudi Arabia’s Prince Bandar know that an invasion of Iraq was a certainty. Rumsfeld acts as if it were the first he’d heard of it. Maybe it was, maybe it wasn’t. But it was a dream come true — the show of might he’d always longed for. Rumsfeld takes no responsibility for mismanaging Iraq once he’d defeated Saddam’s army with “shock and awe,” and his cheerful demeanor suggests he sleeps well at night. 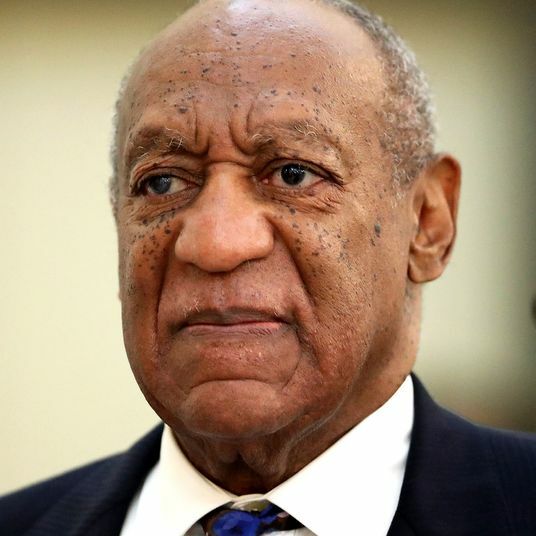 Possibly the most obscene thing in The Unknown Known is his tearful account, near the end, of visiting the Walter Reed Hospital, where a gravely ill soldier was on the verge of death. The man’s wife told Rumsfeld, “I know he’ll make it,” and, sure enough, he did. “Unbelievable,” says Rumsfeld, eyes shining. “So we’re a very fortunate country … ” The tens of thousands of Americans and hundreds of thousands of Iraqis who either died or were severely maimed take a backseat to the one with the strength to pull through. Bush-Cheney apologists will wonder why Rumsfeld would ever subject himself to a documentary like this when he could just hide in his manor and behind his memoirs. The director poses the same question to his subject, who says, in effect, “Damned if I know.” The obvious answer is that he gets a lot of pleasure out of recounting his past, happily skipping along the surface. The Unknown Known is a worthy addition to Morris’s body of work, an epic search that demonstrates the limits of language, the ease of sidestepping truth.